Mouse anti Pig IgA secretory chain antibody, clone K60 1F1 recognizes the secretory component of porcine IgA. 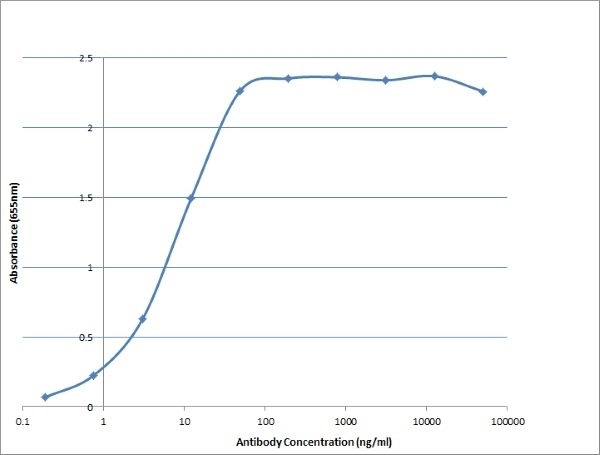 The antibody does not cross react with free alpha heavy chain, or with mu or gamma heavy chains. Guzman-Bautista, E.R. et al. (2015) Tracheal and bronchial polymeric immunoglobulin secretory immune system (PISIS) development in a porcine model. Dev Comp Immunol. pii: S0145-305X(15)30016-1.